Looking to make a career in driving heavy goods vehicle or passenger carrying vehicle? 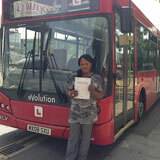 You would need C1 – license or a D1 minibus license. It is a good way of making a living too since you would need nothing but just a passion for driving and a valid license. The need for good passenger carrying vehicle drivers or large good vehicles driver is immense in today’s world and you can make use of this demand to earn a living just by learning how to drive. 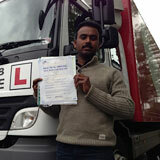 The training modules at GP training would help you to pursue your career goals and make a skillful driver out of you. All you would need is to visit us at GP training in St Albans, London. 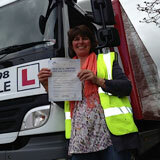 There are different categories of LGV (HGV) training required for driving goods vehicles, apart from the C1 – license. You can choose from C – up to 32 tons, C1 + E license, C + E truck & trailer, C1 + E – 7.5t & trailer as per your choice of driving requirements. At GP training we would not only train you how to drive the LGV or large good vehicles and HGV or heavy good vehicle skillfully but would also provide you with theoretical books on the driving techniques. There are categories of the PCV training or passenger carrying vehicles training module as well. You can choose among the D manual coach, D automatic bus, D1 + E minibus & trailer, D + E coach & trailer apart from the D1 minibus license, although the D1 minibus and the D automatic bus are meant for manual driving passenger carrying vehicles only. The kind of license you should apply for would depend on the training you have chosen and that in turn would depend on the number of passengers you wish to carry in your vehicle. You must know that the vehicle you can drive would depend on your age. It is also important that you know that the vehicle you drive should be legal and should be safe for the roads. Since driving is not only about practical lessons but also many more such rules and regulations, we at GP training have created our training modules with a combination of practical and theoretical classes. 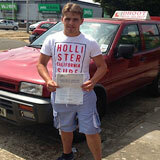 You would not only learn to drive well but would also know about other various aspects of driving. If your mother tongue is not English you must be worried that you would not be able to follow the instructions or would not be able to read the theory books. To solve your problem, we have multilingual trainers and multilingual theory books at GP training. 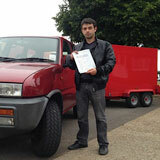 All our trainers are ADI or approved driving instructors, registered under DSA or driving standard agency. Hence you need not only worry about language barrier but you can be assured that the trainers are all experts and skillful in driving. The vehicles used for training students at GP training are well maintained and are equipped with dual control systems. Such that while learning how to drive you would not face any unfortunate mishaps or accidents since the control of the vehicle would not only be given solely to you, your trainer would also be in control of the vehicle. 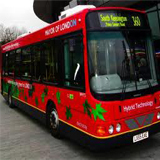 Before you can drive professionally with either your PCV or LGV (HGV) license though, you also need to undergo another training that has been made compulsory by the new legislation passed in the year 2009. 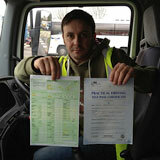 This latest requirement is the driver CPC training. There are many driver CPC modules but to qualify for professional driving you would initially need to pass the driver CPC module 4 and 2. The module 4 of the CPC driving training deals with the practical test with the vehicle you would be driving professionally and the module 2 deals with CPC case study that is required for your keen understanding of the on road situations. GP training would not only prepare you for the CPC driver training but we would also assist you in every which way possible to acquire your desired license. For instance we also assist in filling up the D2 and D4 forms required by the concerned authority and take the responsibility to submit the forms to DVLA too. There is one special service for your benefit as well. It is the pass protection and PCV pass protection. This service ensures that you can re appear for your driving tests, if you fail to clear your driving tests at the first go. 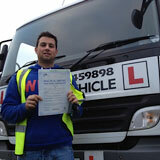 There is B + E car and trailer training as well, if you want to drive a towing vehicle. For information on more services and training options, visit us at GP training in St Albans, London. We would make your wish of being a skillful commercial or professional or even personal driver true.